In a world where conflicting answers are offered for each question, people need to hear from knowledgeable, trusted voices, who can help them make sense of the chaos. 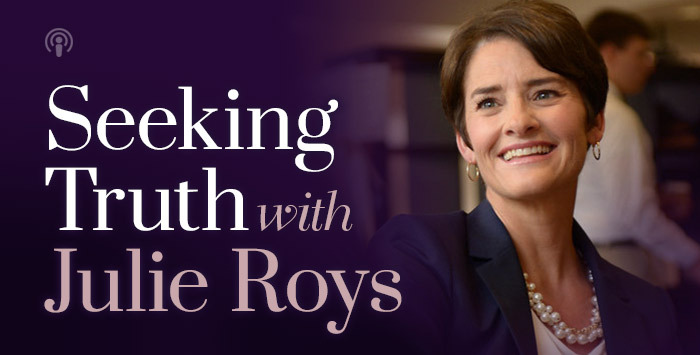 Seeking Truth with Julie Roys engages these voices and helps listeners discern issues related to faith and culture from a biblical perspective. If Fetuses Aren’t Human, Then What Is Abortion Survivor Melissa Ohden? Seeking Truth: Volf & Qureshi Debate — Do Muslims & Christians Worship the Same God? Seeking Truth: Do Muslims and Christians Worship the Same God?